Passion Studios is a piano lesson studio located in Ankeny, Iowa. 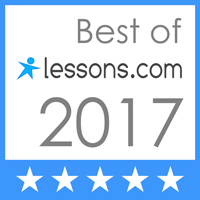 We teach interactive, immersive Simply Music group piano lessons, offering a unique niche in the music community. Passion Studios is a music studio located in Uptown Ankeny. Our playing-based approach through the Simply Music method has students learning in 2-3 months what takes traditional lessons 2+ years to learn, fueling a passion and joy for music. Interactive and immersive shared lessons fosters communication and expression through music. Paired with a constantly expanding, diverse repertoire and music artist spotlight at the beginning of lessons each week, every student experiences a unique sense of discovery, accomplishment and companionship. Attend a Free Introductory Session and receive a free demonstration lesson. Marlie has a huge repertoire of music with just over 50 lessons with us. She learned this song in only 5 minutes, and this is her first time playing it! Check out Conrad - he's been taking lessons 4 WEEKS and can already play and sing his first song!